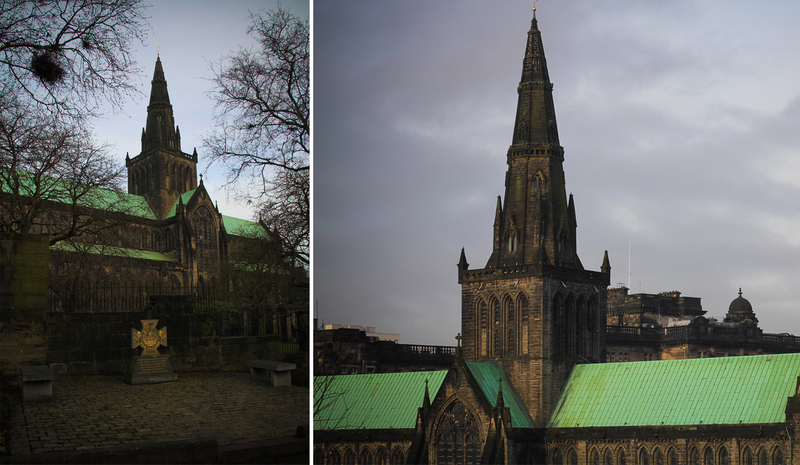 Edinburgh usually steals the Scottish spotlight, but Glasgow gives it a run for its money. With an overwhelming number of museums and galleries, there is ton to feed your artistic, as well as, touristy appetite. Speaking of appetite, Glasgow is also home to some amazing restaurants, including Jamie Oliver’s Jamie’s Italian Glasgow branch. 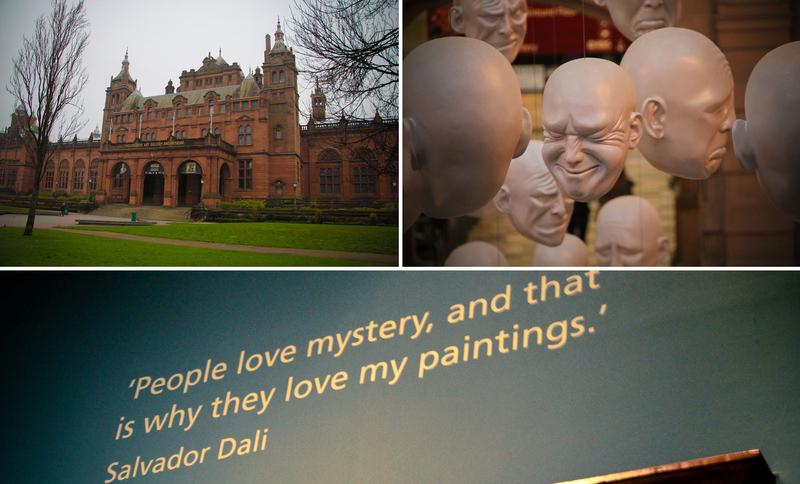 You can spend days exploring the Glaswegian galleries (and years fully trying to understand their accent), but if you have limited time, here is my list of top to-dos in Glasgow. In order to successfully explore most of Glasgow in one (or two) days, I recommend the Glasgow City Sightseeing bus tour. One ticket is valid for two days and this hop-on-hop-off bus makes a stop at all major attractions that I am going to mention in the remainder of the post. On a side note, traveling in winter has its advantages because when I took the tour, I had the whole top floor of the bus to myself. Start your day bright (let’s be honest… it’s Scotland. It will be raining) and early to maximize on the daylight hours. You can get on the bus from any of the 24 of stops, but George Square is where the tour officially begins. One of the first stops is the Glasgow Cathedral. Get off your bus and admire this stunning Cathedral’s exterior and interior, before hiking up a small hill to the Glasgow Necropolis. The Necropolis is a Victorian cemetery on a small hill overlooking the city. The magnificient tombstones lend an eerie feel to this place, but it’s also impressive at the same time. 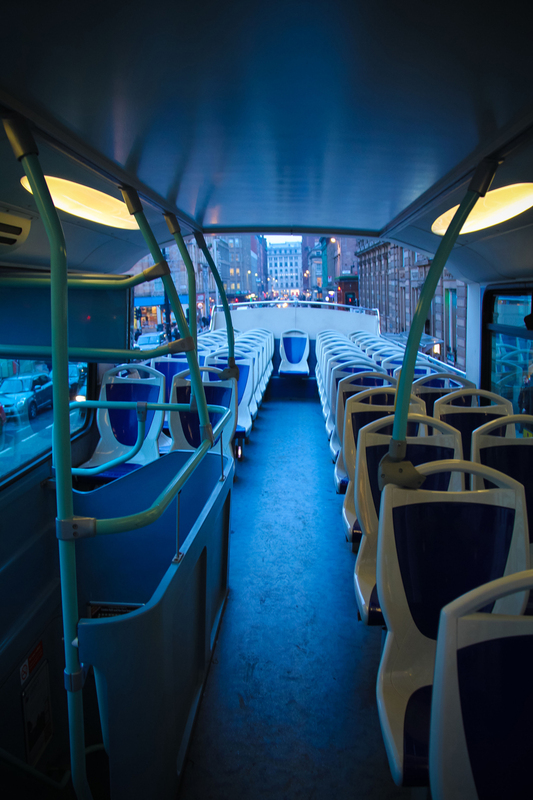 Get back on the bus and drive through Glasgow’s newer attractions. 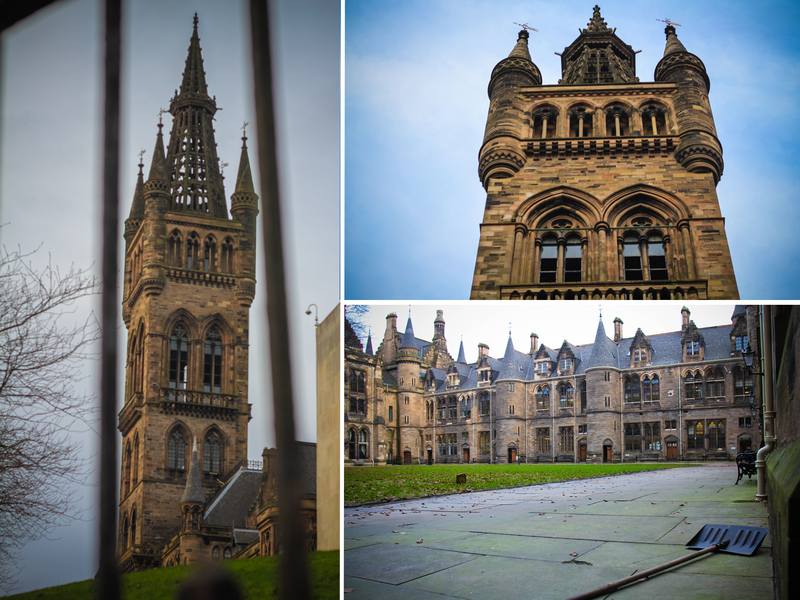 Get off and explore if you have time, otherwise, stay buckled in until you get to the University of Glasgow‘s stunning campus. Harry Potter fans will recognize some magical parts of this campus from the film adaptions. Walking distance from the University is the Kelvingrove Art Gallery and Museum. You could spend a whole day admiring over 8,000 artifacts housed in this space. From natural history to famous art pieces, there is something that will interest every museum enthusiast. The highlights for me were the Christ of Saint John of the Cross by Salvador Dali and Rembrandt’s Man in Armour (sometimes also known as the Man with Arms or Alexander The Great’s portrait). It’s probably dark by this point and you are dying to sample the Scottish culinary skills. Here are my top suggestions: Get back on the hop-on-hop-off bus and take it all the way back to George Square to Jamie’s Italian. 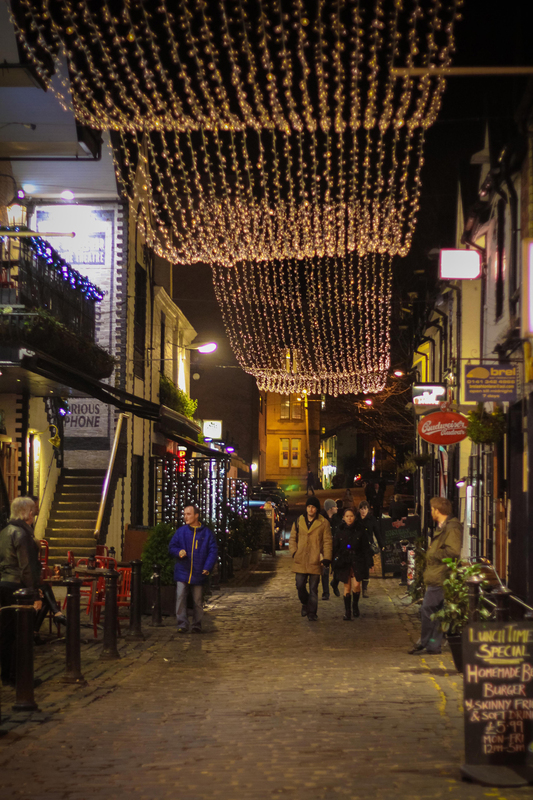 Or make your way to the busy Byres Road and find the lovely Ashton Lane, which is a spectacle when the sun goes down. I have expressed my undying love for Edinburgh in a previous post, but I must say Glasgow has an incomparable charm and might just end up being your favourite city in Scotland. Have you been to Glasgow? And do you like it more than Edinburgh? I’d love to hear your thoughts in the comments below!